Buy a Horse or Dog Treat and Donate to Harvest Home! 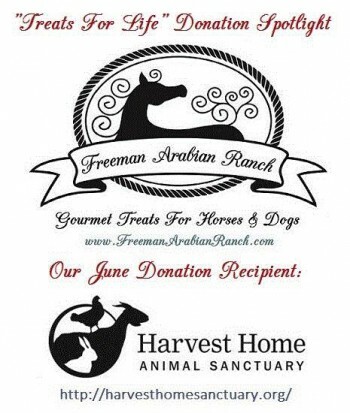 During the month of June, 50% of Freeman Arabian Ranch‘s Gourmet Treat sale profits will be donated to Harvest Home! Order dog and horse treats right from your computer!